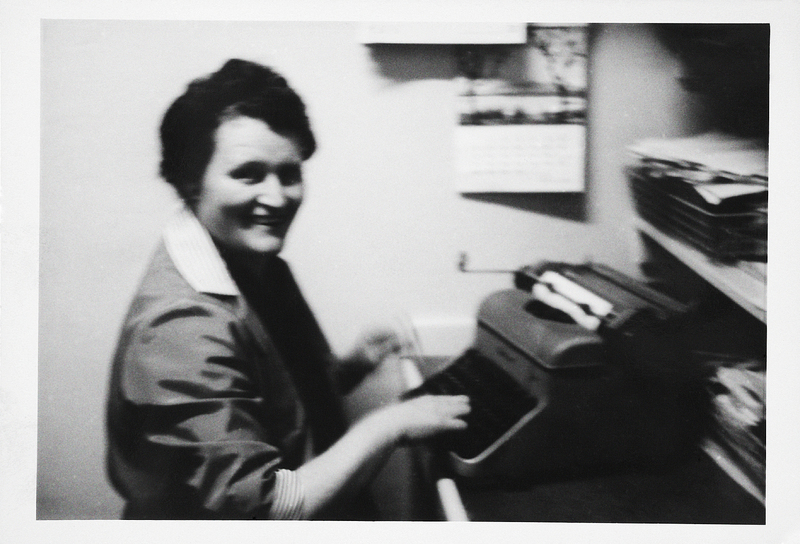 In 1987 Mother suffered a stroke that incapacitated her, to make her feel wanted, we insisted that there was still work for her to do in the office. We gave her plenty to do, which meant she was in company and that she was occupied. When I took her to physiotherapy, I would take her to visit sites, but she was always in a hurry to get back to the office, I once pulled into a pub car park, in the pretence of going for a beer; she went `off her head` at the thought of going into a pub during the day! We had some fun and so many good times. My Mum, Norah Coleman, hard at work. She’ still sorely missed. Whilst I was away with Shell Oil, at their Lubrication Engineering Division in Holland in September 1988, I received a call from my sister to say that Mother had suffered another more serious stroke. Shell made immediate arrangements for me to return back home. I headed straight for the Queen Elizabeth Hospital in Birmingham, arriving about 02:00am. I talked my way in to see my mother, who was in the end bed, in a small Ward of six patients. The other five were asleep, Mom was awake, very weak and drowsy, I sat with her for a while, we said a little prayer, when I asked “why aren`t you sleeping?” she replied “I knew that you would come and I have been waiting for you!” She smiled we had a little chat and then dozed off to sleep. I left knowing that she was comfortable. Later that morning she had another more serious Stroke from which she did not recover. Mom died on 22nd September 1988 aged 69 years. The Love of My Life had gone to join her Husband. In the space of four years the founders of Coleman & Company had gone, it was now upto me, Maureen and Mike to carry on as we had been for the last few years, however, there was a tremendous vacuum in our working life. We could have closed the firm when we had all the problems in 1984/5, when things were at their lowest ebb, we could have taken the easy option, we didn`t, we decided to continue and to build as our parents would have wished. On 26th October the Great Storm of 1987 hit with hurricane force winds, recorded as the worst storm since that of 1703, causing 18 deaths and billions of pounds of damage. We weren’t involved with the clean up operation after the Great Storm of 1987 but you can read how Coleman & Company were asked by Birmingham City Council to help after a tornado struck Birmingham in July 2005 here.